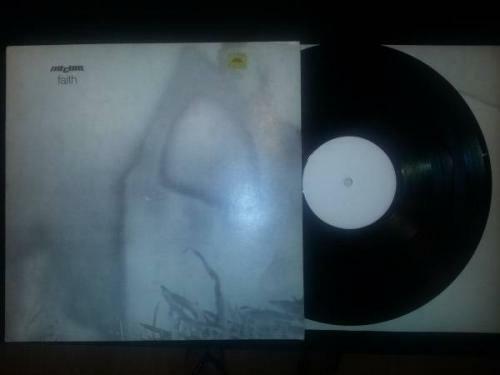 The Cure "Faith" LP - PROMO ? TEST PRESSING ? WHITE + BLACK LABEL ! Vinyl RARE! I Sell a Rare copy of the LP CURE "Faith" ...... maybe a PROMO or a TEST PRESSING: the Vinyl is with a WHITE LABEL, and the other side is completely without LABEL, so is totally BLACK !!! On the inner sleeve there's a pen writing indicating: "1 - Black". On front cover there's a small yellow sticker indicating "Virgin Records".